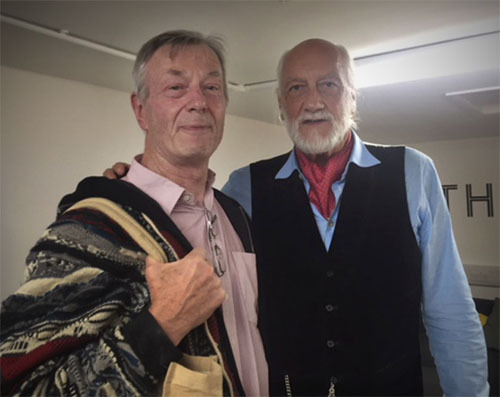 In the 1967 Easter holiday a fifteen-year-old London schoolboy photographer acquired his first 35mm SLR camera and it accompanied him to notable gigs for several years. 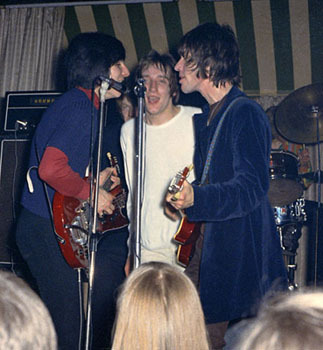 Its first outing was the Jeff Beck Group debut at the Marquee Club (above and in Jeff's autobiography published in 2016 by Genesis Publications - glad you liked it Jeff!) which featured Rod Stewart and Ronnie Wood. A few months later the National Jazz and Blues Festival lineup included Peter Green's Fleetwood Mac debut and these historic images have become widely known since their publication by the late Bob Brunning in his biography of the band and by Mick Fleetwood in My First Twenty Five Years in Fleetwod Mac and more recently in his lavish half-century tribute tome, Love That Burns, also published by Genesis in 2017 (thanks for the invitation to Mick's London launch event guys as it, in effect, marked both our 50th anniversaries). The shots were mostly in black and white for publication in the monochrome music press at the time which included Beat Instrumental, Melody Maker, New Musical Express, Record Mirror and Sounds. Max Browne captured many famous and up-coming performers at club and festival gigs and is now digitally scanning these film images and uploading samples to the RockShots.Co website. Lo-res versions are being made available as memorabilia for free reference and hi-res images for commercial use at standard reproduction rates. This is an ongoing project and will take some time to complete. Two recent noteworthy publications using RockShots images are the 50th Anniversary re-release by Warner of Jethro Tull's first album This Was (1968) and an exotic forthcoming book of Eric Clapton illustrations using never previously published images and with a major slice of profits bound for worthy charities. Also of note are the exhibition quality signed limited edition prints published by top rock images publisher RockArchive. The first two of these were included in RockArchive's 2018 exhibition at the Albert Hall. As ever this was selected from their renowned collection of classic and often iconic rock images. 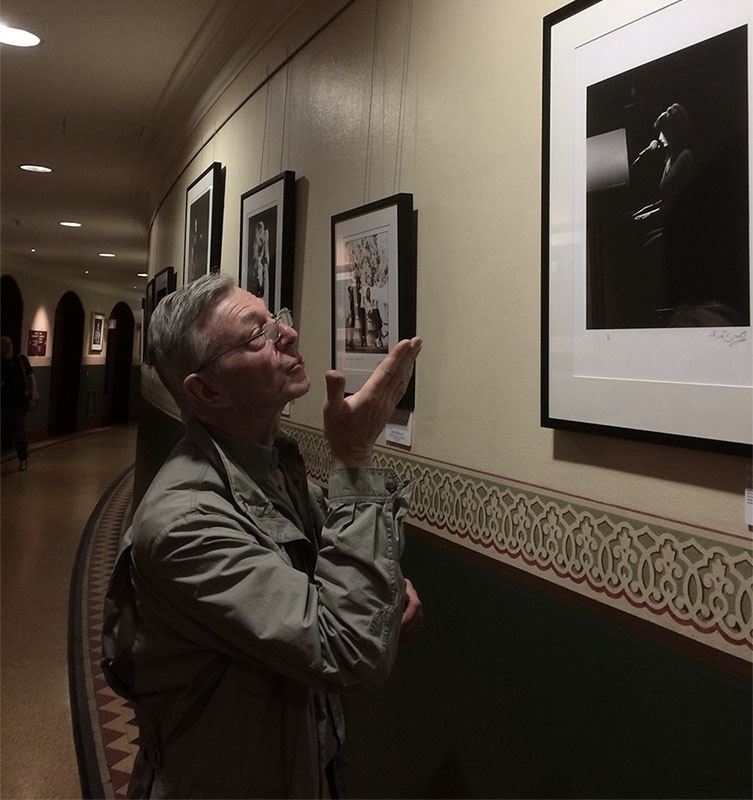 Here is a snap of the photographer, during a visit, showing due acknowledgement to the subject of one of his favourite onstage shots which also features in a review of the show. 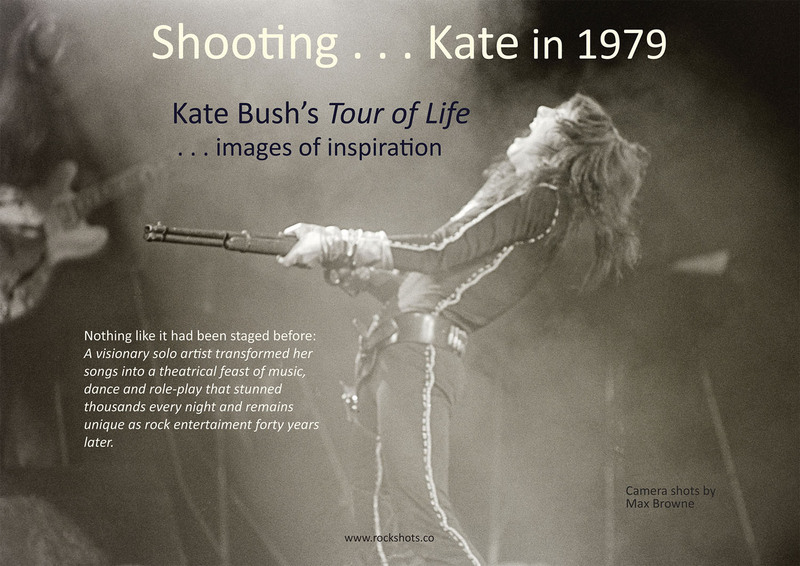 RockArchive are rising to the occasion again by publishing more onstage images of Kate Bush to mark the 40th anniversary of her dazzling groundbreaking shows that so many were enchanted and influenced by. We hope that more of the stunning images in our archive may also contribute to a finely illustrated tribute and celebration of this highlight of rock history before the year is out . . . 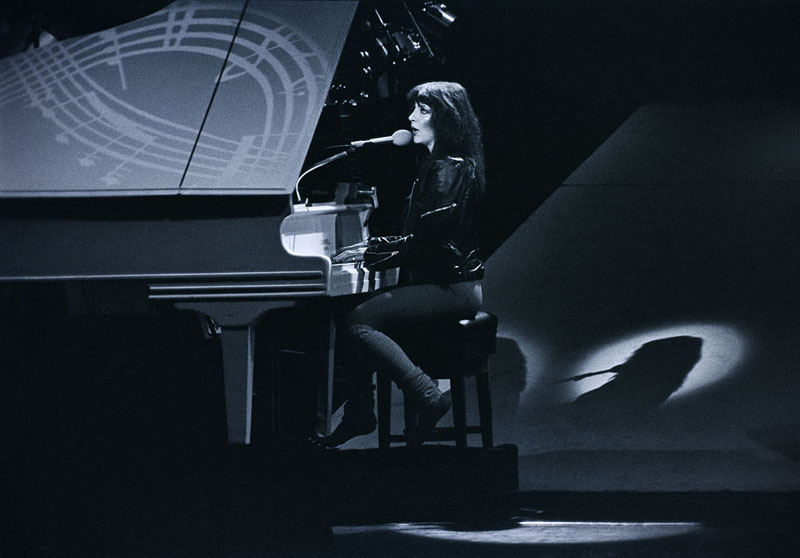 It's great that Sean Twomey has included a selection for his 40th Anniversary notice of the 1979 tour in KateBushNews.Com (which is how you may have found your way here!).
. . . fingers crossed!